Hot Base mix: Milk protein isolate, medium chain triblycerides, isomalto-oligosaccharide, potassium chloride, glucose syrup, sodium caseinate, natural flavors, potassium citrate, vitamin and mineral mix (ascrobic acid, ferrous fumarate, vitamin E as acetate, niacinamide, copper gluconate, zinc oxide, calcium d-pantothenate, manganese sulfate, pyridoscine HCL, riboflavin, thiamin mononitrate, vitamin A as palmitate, chromium chloride, folic acid, d-biotin, potassium iodide, sodium molybdate, soidum selenite, phytonadione as vitamin K1, cholecalciferol as vitamin D3, cyanocobalamin as vitamin B12), guar gum, soidium alginate, zanthan gum, mono and diglycerides, magnesium oxide, silicon dioxide, tocopherols. Country Chicken & Vegetable:Dehydrated vegetables (carrot, broccoli, kale, onion, garlic, celery), natural flavors, yeast extract, salt, isomalto-oligosaccharide, medium chain triglycerides, spices, tricalcium phosphate, glucose syrup, sodium caseinate (milk), mono and diglycerides, tocopherols. Farmhouse Cheddar: Dehydrated vegetables (broccoli, onion, garlic, celery), yeast extract, natural flavors, salt, medium chain triglycerides, beta-carotene (color), spices, glucose syrup, sodium caseinate (milk), mono and diglycerides, tocopherols. 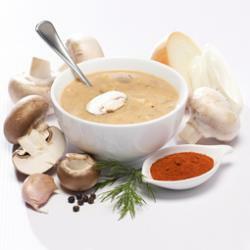 Hungarian Mushroom: Dehydrated vegetables (mushroom, onion, garlic), Hungarian paprika, mushroom juice powder, salt, medium chain triglycerides, yeast extract, spices, natural flavors, tricalcium phosphate, glucose syrup, sodium caseinate (milk), caramel color, mono and diglycerides, tocopherols. Thai Tomato: Dehydrated vegetables (tomato, onion, red bell pepper, garlic), salt, yeast extract, lime juice powder, spices, color (lycopene extract, caramel, turmeric), natural flavors, coconut milk, citric acid, maltodextrin, sodium caseinate (milk). Hot Base mix: Empty contents of one packet into a large cup or bowl, add 6 ounces of very hot (not boiling) water and stir until smooth. 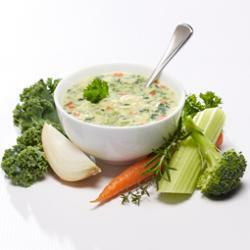 Country Chicken & Vegetable: Empty contents of one packet into a cup or bowl, add 8 ounces of boiling water and stir thoroughly. Let stand 3 minutes. 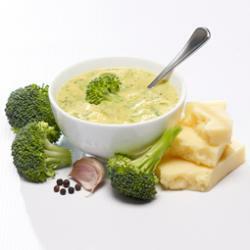 Farmhouse Cheddar and Broccoli: Empty contents of one packet into a bowl, add 6-7 ounces of boiled water and stir until blended. 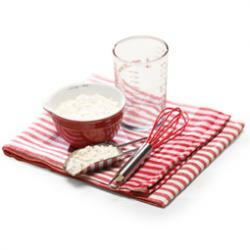 Hungarian Mushroom: Empty contents of one packet into a bowl, add 6-7 ounces of boiled water and stir until blended. 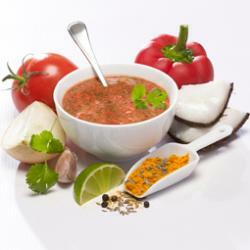 Thai Tomato: Empty contents of one packet into a bowl, add 6-7 ounces of boiled water and stir until blended.